This week we sit down with a mole. This little critter has been digging up extraordinary screenshots since November of 2008. He started off with artistic screenshots by himself and three controllers, but since then he has worked his way up to Bungie Favorites, Campaign Screenshots, and helping out new and aspiring screenshot artists. Check out this one of a kind guy! What inspired you to start taking screenshots? Was there any artist in particular, or was it the massive wave of screenshooting that started up that inspired you? Also, when did you first start taking screenshots? Truthfully, I sort of just started taking screenshots, in hopes that I would one day be featured on Bungie Favorites. As I went along, however, I realized there was so much more to screenshots than Bungie Favorites. There was a whole community of avid screenshot takers who shared a love for the art of screenshots. Of course, I wanted to be a part of this. I began joining screenshot groups such as 'Foto' and 'Team Backfire.' This is when my level of involvement in the community began to grow. Although I mainly started taking screenshots on my own, I was originally inspired by artists such as xINFLUENTKILLER, SCOTTY OWNS U, and my good friend jEEborz. Well, I started taking good pictures around November 2008. I took my first picture the first week I got Halo, January of 2008. I did not really become involved in screenshots though until the summer of '08. Most recently, I have been inspired to begin taking a new type of screenshot, Campaign screenshots to be precise. I was inspired by my good friend Dusty Boy T, and, surprisingly, I was inspired by his Aesthetic Artist Spotlight, none the less. I knew Dusty was good, but I hadn't realized how original and emotional his screenshots really were. I realized there was a whole other world out there (actually, 9 levels to be specific), just waiting to be explored. Sure enough, Campaign was much more exciting than anything I had partaken in before, making it a great experience and crafting some of my greatest screenshots to date. It's good to know that the spotlights are encouraging people to explore new aspects of Halotography. Do you specialize in Forge Art, Campaign Screenshots, or Artistic Shots? I would say that I now specialize in Campaign Screenshots, but it was not always so. I used to be all customs, all the time. I would sit there, three controllers in hand, throwing grenades with all three (not as easy as one would believe). Now I much rather prefer Campaign, the amount of things you can accomplish in campaign are endless. There are so many different specimens to experiment with, so many different areas each with their own unique qualities. 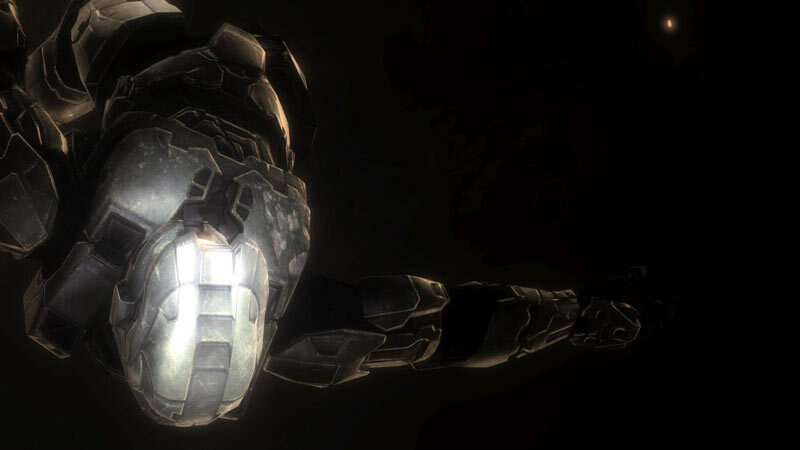 There are Pelicans and Phantoms, ODST's and Marines, Brutes, Grunts, Jackals, even Scarabs. I prefer to keep it with Chief though, sine his armour is so detailed and Master Chief always turns out great in screenshots. I've been using Campaign for maybe two months now, and it never gets old. Some of my personal favorite shots have come from campaign. Campaign = Win. You've certainly proven that. Which screenshot group out there do you believe to be the most tight-knit, helpful community for taking screenshots and getting feedback? Without a doubt, it has to be Aberrant Designs. Ever since joining this illustrious group, my screenshots just keep getting better and better. All of my friends I've made on Halo reside in Aberrant Designs. It is the smallest group I am in, yet it still manages to deliver every time. This group is kind of like the Hall of Fame for all forms of art. It is not just focused around screenshots, but art as a whole. Everyone has their own unique qualities which make their art special. Our screenshots don't need tons of explosions and colors to be considered 'Amazing.' Simple is sweet. With outstanding members and an overall wonderful vibe, it is easily my favorite group. I get tons of replies on everything I post, and for the most part, the comments are positive. If a screenshot has flaws, they let you know. They tell you how you could improve it so next time there will only be positive feedback. I have to say without this group, I probably would not be taking part in this interview right now. So thanks AD, you've helped me more than I could have imagined. Aberrant Designs, huh? It seems as though we've heard of that group a few times before. ;) Are you still actively taking screenshots? I wish I could say yes, but truthfully I haven't taken any screenshots in nearly a month. This is due to the fact I have been hard at work attempting Mythic difficulty (Solo Legendary All Skulls On) in Halo 3's campaign. I have discovered that this difficulty could be useful for screenshots though, as the enemies and allies are nearly invulnerable, and they throw a ton of explosives. This makes for some pretty cool screenshots. I have yet to get something good from this but now that I have conquered Mythic (as of Bungie's 10th anniversary), I can go back to Mythic and test out it's screenshot potential. I also haven't really had any ideas on what to do for screenshots recently. I do feel the same old spam all types of explosives at one particular person is getting kind of old. I'm looking for some new ideas, and lately have been drawing a blank. Once again though, now that Mythic is conquered I have a whole lot of time on my hands, meaning I can get back in to the screenshot world and hopefully find what I've been looking for. Congrats on conquering Mythic. Now get back to creating screenshots! Which screenshot that you have taken is your absolute favorite? Which is your most known in the community? Well, it is way too hard to choose just one. It is probably a four way tie, between Red Dawn, Suffer, Consumed and Reminisce. All four of these screenshots each have their own strengths. Red Dawn is full of colors and really gives off an epic vibe. Suffer on the other hand, is very eerie and evil. Consumed has nice contrast between light and dark and that alone makes it a favorite of mine. I am most well known for the latter (Reminisce), since it was featured on Bungie Favorites back in June. Bungie chose this batch themselves, so it was a real honour. 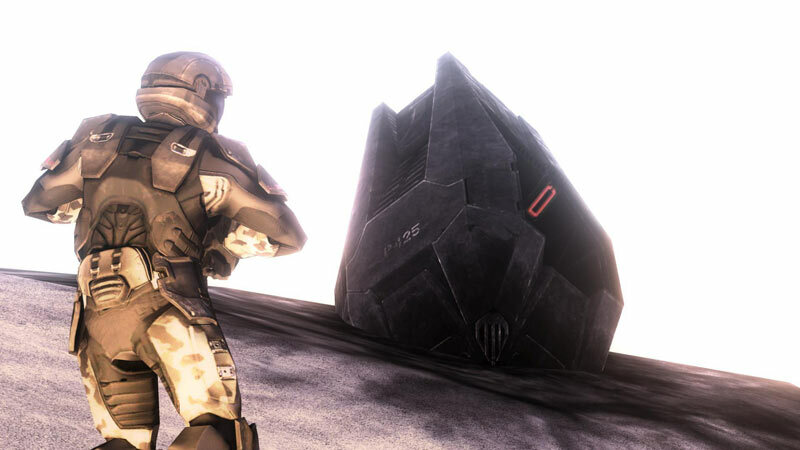 It is one of the only screenshots (at least that I have seen) that features an ODST drop pod, which I feel made it stand out. Those definitely are stand-out screenshots. Amazing work. What do you think of the relatively new feature, haloscreenshots.com and their printing services? I think it is a great idea. A custom framed print of your favorite screenshot, why wouldn't it succeed. Unfortunately, I don't have the kind of money to spend on the custom prints, so for now looks like all I can do is admire them. I loved the contests though where the winner received their own framed print of their winning screenshot. I felt this was a great incentive to participate, since every aspiring screenshot artist would love a framed print of their favorite shots. These contests also made artists go outside their comfort zone and really challenge themselves to take different types of screenshots (like landscape). I think the creation of this site was a very innovative idea and I do hope they succeed. 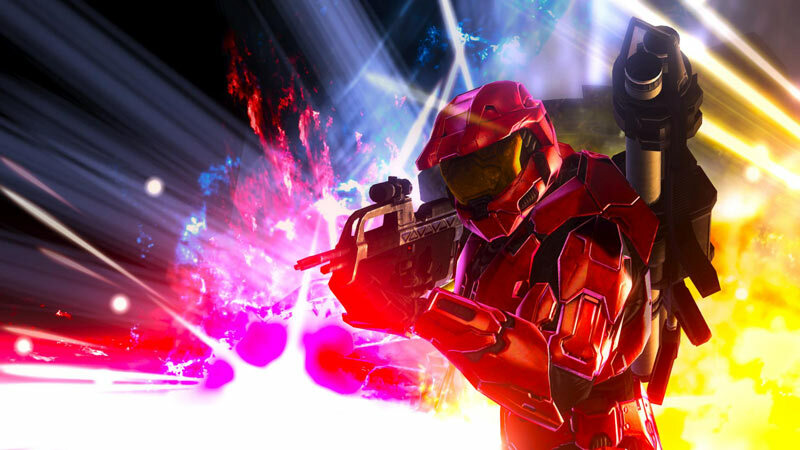 What could be better than Halo art in your home? Halo are that you've created, of course! How many total screenshots have you taken over the years? Well, it is a pretty big number. I'd say I'm nearing 500 at this point. I have been taking screenshots for some time and I take them quite frequently. The number adds up fast. I have 330 registered screenshots (thanks to www.haloscreenshots.net for letting me know), but I have taken a solid 100 screenshots at least that never showed on Bungie.net or anything else for that matter. Trust me on that one. I'm not the kind of guy who takes just one screenshot per film though, I will usually take four or five of the same thing from slightly altered angles to get it just right. So it is not like 500 completely different screenshots, many are similar. Impressive. Most impressive. In your opinion, which campaign levels do you believe are the best levels for taking campaign styled screenshots? Why? For aspiring Halotogrophers, which level do you think will teach them the most about getting started? For Campaign, Floodgate is hands down the level on which great screenshots are created. It is where the majority of my campaign screenshots are taken. It gives the screenshots a very dark, eerie vibe, which is just what I like. The lighting on this level is superb, and if you manage to break out of the level, you can get some incredible screenshots. If you are just getting started in screenshots, however, I highly suggest you check out the ice cave on Avalanche. No matter how long you've been taking screenshots, you can always get an interesting shot in that area. It is where I spent the first five months of my screenshots career (if you could call it that). Both of these levels have their own unique qualities which make them ideal places to create screenshots. Just as every other interviewee, I am surprised greatly with my involvement in the community. It seems like in the last three months, my activity level has sky rocketed. I spend a solid amount of time helping others out in screenshot groups, scrolling the public forums, and chatting with fellow screenshot takers. I love Bungie.net, and spend a lot of time on it. Truthfully, back in the summer of '08, I had almost stopped playing Halo entirely, my screenshots had gone as far as they could (or so I thought), and all my friends has moved on from Halo. I was all alone, so I joined some groups, and have made some great friends out of this (you know who you are). The community brought me back to the game I love, so I owe it to them to help out a little. The Bungie community is a great place and I highly suggest anyone reading this gets involved. It's worth the investment of your time. You hear that Bungie? Your community rocks! If you could, what do you think you would add to Halo 3 or Theater to make it a better experience for Halotographers? I would love the ability to set weather filters, such as rain, storm, sunny, cloudy, etc. I truly feel this could add some much needed depth to custom game shots. Also, maybe a rewind feature for campaign. I know it is not possible, but I hate missing a wonderful screenshot 30 minutes into a campaign film then having to restart the film, only to miss the shot once again. As for matchmaking, I wish they would bring back Team Objective. I know not many people played it, but it was my favourite playlist and I felt it was highly enjoyed by the highly skilled players. 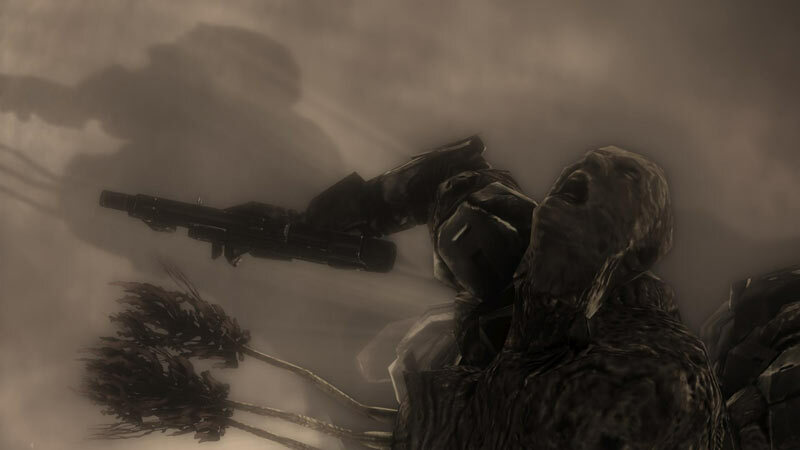 I can still hear the announcer in my ear, "Flag taken, flag dropped, flag taken, flag dropped, flag taken..." Although the last option is not as important to me, I do feel all three of these improvements would be highly appreciated by the entire Halo 3 community. That would be fantastic! Great idea! *hint-hint* What was the inspiration for your Bungie.net name and gamertag, TheMoleN? Good to know, Melon. Would you like to make any additions to the interview before going on your way? First of all, if you are looking into taking screenshots, try to take something that contains emotion. Lately, that is all I have been doing. It gives meaning to your screenshots, capturing an emotion in art though is not always an easy thing, so don't be frustrated when you don't get it right away. Also, don't be afraid to ask questions in the community. Some people may flame, they may make fun, but don't worry about them. Some people will be helpful; the community made my screenshots what they are today. I had a couple rough patches along the way, but I shook it off. They helped me do challenges I never imagined completing (Mythic, Bungie Favourites, General), and have ultimately made my gaming experience in Halo 3 a blast. Good advice from an exceptional artist. Would you like to make any shout-outs to members or groups of the community? Thanks for the shout-out, MoleN, and thank you so much for coming in! It was such a pleasure having the opportunity to talk to you ;) This week I'd like to give a shout-out to Team Pepto and Louis Wu, as always, who take a part in these interviews. Thanks guys!